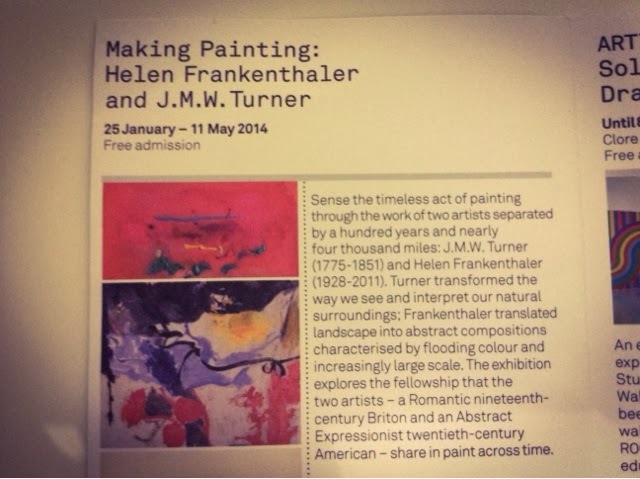 Being a lover of abstract expressionist art, it was Frankenthaler’s work that persuaded me to go to this exhibition. As profound an artist as Turner is, having seen some of his work before I wasn’t that interested in seeing Impressionist work. However, the way we are encouraged to reflect on their similarities made his work appeal to me more. 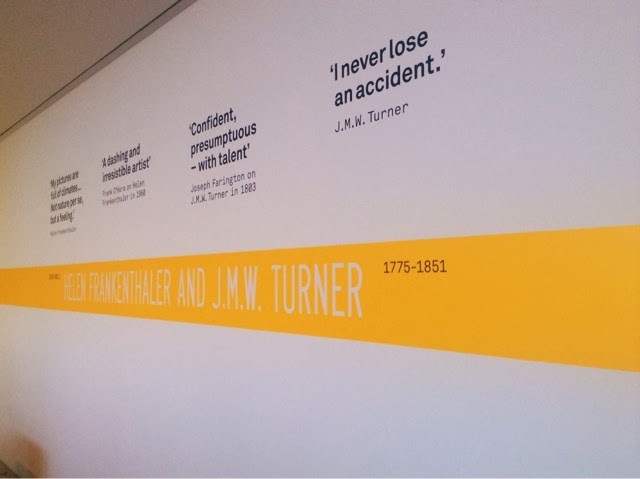 It is clear to see that Turner transformed the way landscape is represented. Comparing him to these abstract paintings highlights the abstract qualities in his paintings. 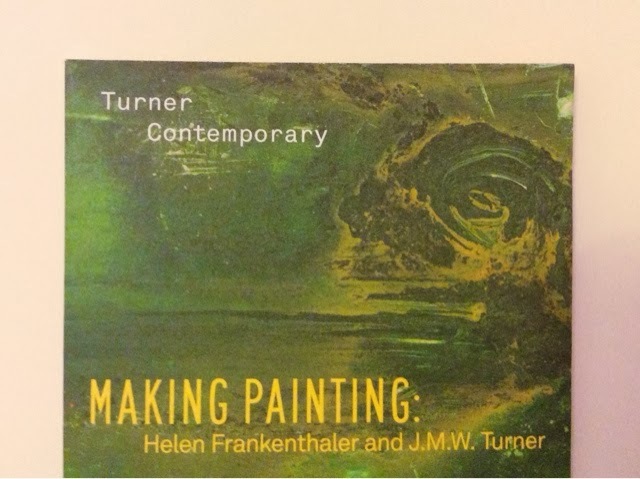 Whilst both artists look at the world surrounding us, Frankenthaler’s technique takes Turner’s to an extreme. 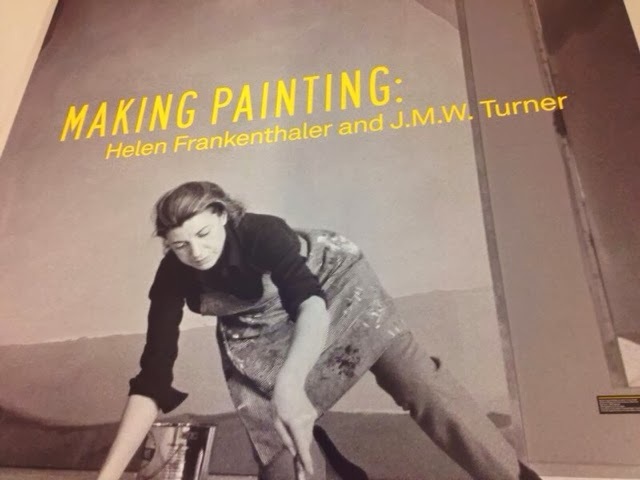 Although there is no proof of her taking a direct influence from his work, it is clear through the years that these qualities have developed into what we now call abstract expressionist painting. 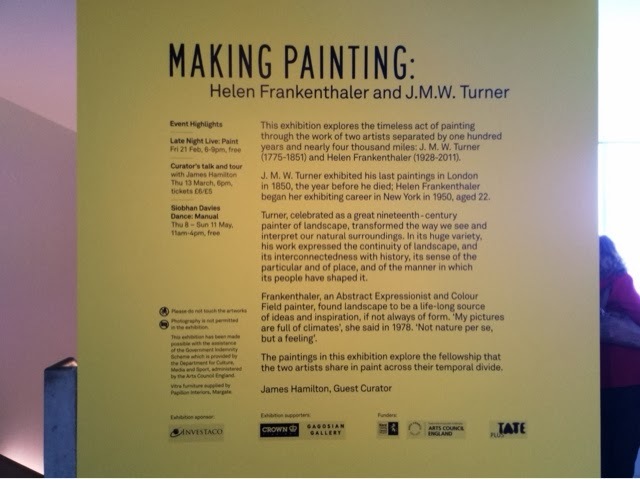 If you’ve never had the inclination to go a gallery this exhibition is a good place to start. It gives you a good grounding of old and new artists and the changes in art over time. Or if you just want to take your mind off things, widen your interest, reflect on thoughts and ideas presented to you or even see just a little bit of history then drop by! 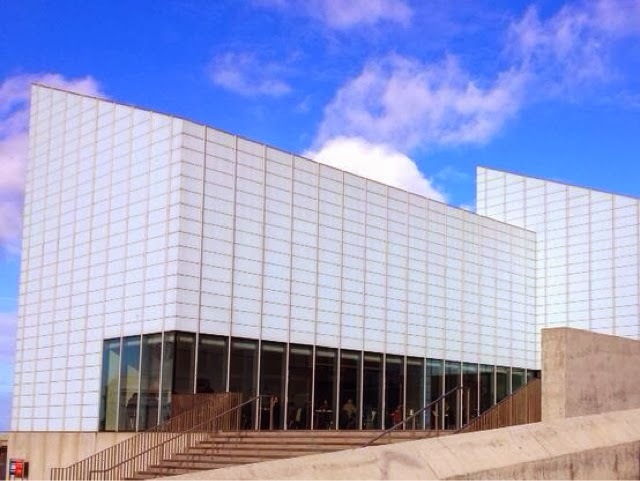 It was worth the trip to see the fairly new Turner Contemporary gallery as, if I’m honest, I’d have no other reason to visit this seaside town. 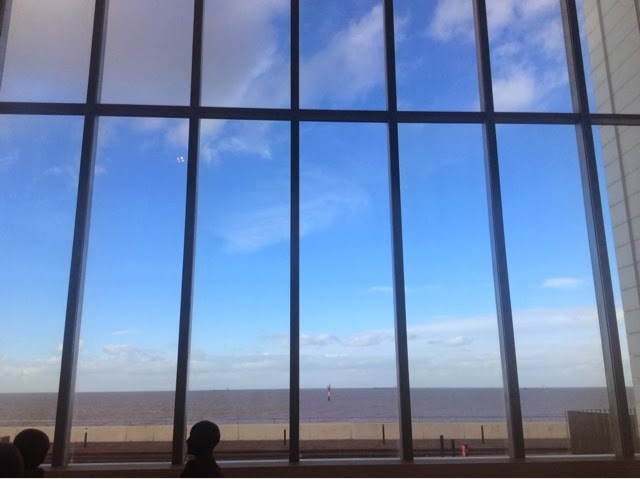 The views from the gallery were amazing! I just wanted to share this with you because, although I see a lot of exhibitions alongside my course I really enjoyed it. So if you find yourself in the South-West, it is running until 11 May 2014.